Starting an auto transport business? Here is a summary of the most important things you should consider when opening an auto transport business. Thinking about opening an auto transport business? We tell you what you need to know to get started. 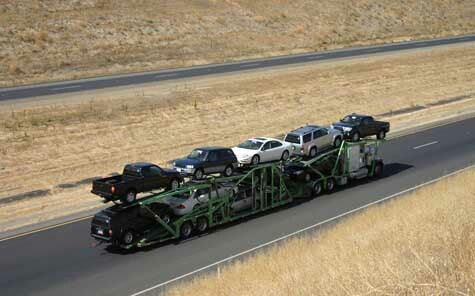 Auto transport businesses exist for the sake of convenience. Rather than moving their vehicles long distances on their own, people hire auto transporters to safely relocate their vehicles at an affordable price. The challenge in launching an auto transport business is balancing your customers' need for convenience and affordability with economic realities. It usually doesn't pay to transport one vehicle at a time. Efficiency demands coordinating the transportation requirements of multiple vehicles and customers. Good commercial transportation software can help you keep track of vehicle movements as well as other important variables such as fuel and mileage. During the startup phase, we advise business owners to lease a commercial auto transport vehicle. The industry supports both closed and open trucking, so you'll need to decide whether it's more beneficial to lease a less costly open transport or spring for a pricier closed box truck. In general, you can offer better pricing on open transports because they are less expensive and can carry more vehicles at once. Insurance is another startup consideration you can't afford to overlook. When you are transporting customers' vehicles, you are responsible for theft or damage. Every vehicle you transport needs to be adequately insured and the business should be bonded to protect your personal assets in the event of a mishap. Auto transport brokers accept registrations from auto transport businesses and most startups achieve success by nurturing relationships with reliable brokerage companies. Many brokers publish customer ratings online, so you'll need to be careful to make sure your customers receive the safe delivery of their vehicles within promised timeframes. The mandatory components of an auto transport company business plan include an executive summary, mission statement, strategic overview, financial plan, marketing plan and timetable. Without these elements, your plan will have limited use to lenders, investors and other stakeholders.. But in today's business environment, it's also important to discuss the external factors your auto transport business is facing. As a rule, we recommend including a PEST (Political, Economic, Social & Technological) analysis in your business plan as a way of addressing potential threats and opportunities at the macro level. Prior to launching an auto transport business in your town, it's essential to see how you will fit in the competitive landscape. We've provided the link below to help you find competitors nearby. After clicking on the link, type in your city, state and zip code to get a list of auto transport businesses near you. If you are seriously contemplating launching an auto transport business, it's a smart move to talk to somebody who is already in the business. If you think owners of nearby auto transport businesses will give you advice, think again. Why would they want to educate a future competitor? Thankfully, an owner of a an auto transport business outside of your community may be willing to share their entrepreneurial wisdom with you, given that you don't compete with them in their area. Many business owners are happy to give advice to new entrepreneurs If you are persistent, you can find a business mentor who is willing to help you out. Want the scoop on finding an auto transport business owner that lives outside of your area? Many entrepreneurs elect to acquire a profitable auto transport business instead of navigating the challenges of a business startup. But before you can seal the deal on an auto transport business purchase, you're going to need financing. If you're prepared to deal with lender requirements, you'll find that lenders are more open to financing established operations than they are to take a chance on a startup. You should know that your odds of doing well in business are greatly increased if you go the franchising route and leverage their successful brand and track record. Before you get too far along in your plan to open an auto transport business, you may want to determine whether franchise opportunities in your space might help you avoid common entrepreneurial mistakes. Still have a question about opening an auto transport business? Post your comments on this topic using our comment submission form below. Already Own an Auto Transport Business? Do You Sell to Auto Transport Businesses?